When most people think about September and the start of fall, they think of the beginning of the school year, getting back into routine after the summer, and cool crisp days. At the National Council of Aging (NCOA) when we think about fall, we think about and plan for National Falls Prevention Awareness Day, which is observed around the country on the first day of fall. 2018 marked the 11th annual National Falls Prevention Awareness Day. Preventing falls among older adults is a significant focus at NCOA because falls are the leading cause of fatal and nonfatal injuries for older Americans. Falls threaten seniors’ safety and independence and generate enormous economic and personal costs. It’s important for older adults to understand that falling is not an inevitable part of aging. We know what the risk factors for falls are and once identified, interventions can be put in place to reduce falls risks. 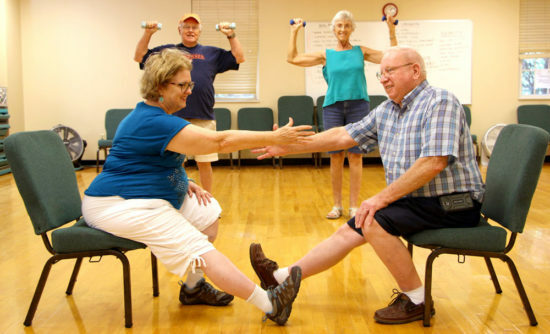 For example, through practical lifestyle adjustments, such as physical activity to improve strength and balance; safety modifications in the home; medication adjustments; participation evidence-based falls prevention programs; and clinical-community partnerships, the number of falls among seniors can be substantially reduced. According to the U.S. Centers for Disease Control and Prevention, one in four adults aged 65 and over falls each year and are the leading cause of hip fracture and brain injuries. Falls result in more than 3 million injuries treated in emergency departments annually, including over 800,000 hospitalizations and more than 30,000 deaths. In 2014, the total cost of fall injuries was $50 billion, with Medicare and Medicaid paying 75 percent of these costs. The financial toll for older adult falls is expected to increase as the population ages and may reach $103 billion by 2030. Falls, with or without injury, also carry a heavy impact on older adult quality of life. A growing number of older adults fear falling and, as a result, limit their activities and social engagements. This can result in further physical decline, depression, social isolation, and feelings of helplessness. NCOA leads the Administration for Community-Living-funded National Falls Prevention Resource Center, which supports public awareness and education efforts of consumers and professionals about the risks of falls and how to prevent falls and supports the implementation, dissemination, and sustainability of evidence-based falls prevention programs and strategies to reduce the incidence of falls among older adults and adults with disabilities. The Center serves as the national clearinghouse of tools, best practices, and other information on falls and falls prevention. Due to the multifactorial nature of falls, NCOA promotes an interdisciplinary and collaborative approach to preventing falls and injuries involving professionals from health care, public health and the aging network of community-based organizations. For more than 12 years, NCOA has lead the Falls Free® Initiative, which includes a coalition of more than 70 national organizations engaged in disseminating proven falls prevention programs, advocating for funding, and educating older adults about how they can reduce their risk of falling. The initiative also includes a 43-member State Coalition on Falls Prevention Workgroup charged with collaboratively promoting effective strategies to address falls. The Falls Free® Initiative is moving forward the recommendations from the 2015 Falls Free® National Action Plan, which serves as a roadmap and catalyst for action. The plan includes goals, strategies and action steps to increase physical mobility, reduce the impact of medications as a falls risk factor, improve home and environmental safety, and increase access to evidence-based falls prevention programs, among others. The National Action Plan is a product of key recommendations and evidence-based strategies collected during the Falls Prevention Summit, a White House Conference on Aging event held in April 2015. National Falls Prevention Awareness Day occurs every year on Sept. 22, the first day of fall. State and local falls prevention coalitions and many other partners across the country host and promote falls prevention awareness and screening fairs, physical activity events, advocacy activities, and education forums for professionals and students. Evidence-based falls prevention programs operate year-round and options can be found on the NCOA homepage under the Resources link. I encourage readers of all disciplines to get involved with your state and local efforts. Coalition contact information can be found on the NCOA.org homepage; click the Resources button and search for the list of State Falls Prevention Coalition Contacts. Thank you in advance for being part of our village! For more information about National Falls Prevention Awareness Day, visit www.NCOA.org/FallsPrevention. Kathleen Cameron is the senior director of the National Council on Aging’s Center for Healthy Aging, and Director of the National Falls Prevention Resource Center. 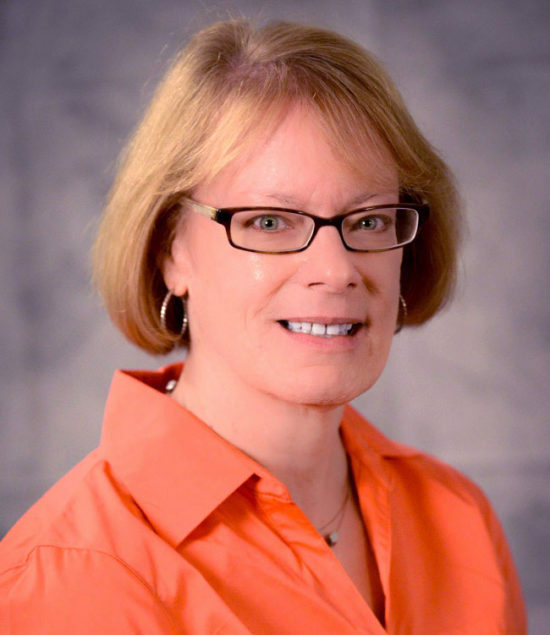 Ms. Cameron has more than 25 years experience in the health care field as a pharmacist, researcher, and program director focusing on falls prevention, geriatric pharmacotherapy, mental health, long-term services and supports, and caregiving.